If the latest US State Department sanctions against Moscow over the poisoning of the Skripals in Britain seem to be an explosive development stacked atop a pile of unsubstantiated claims, that’s because they are just that, analyst Mark Sleboda told Sputnik Thursday. The trend in Washington to make vital claims with billions of dollars of sanctions on the line without substantiating those claims is both worrying and increasingly mundane, according to Sleboda, an international affairs and security analyst. "It's certainly the case with Russiagate — the demanding of proof, of evidence, has completely fallen flat — but hey, Manafort's taxes, right?" he quipped. Sleboda told Sputnik: "We've seen it Douma, Syria, where there were all kinds of accusations and then an actual bombing, an airstrike on a sovereign state, because of some supposed chemical weapons. And the Organization for the Prohibition of Chemical Weapons has already come out and said at least the US government's accusation that sarin was used was completely false." "Even bigger, look at Iran and the Joint Comprehensive Plan of Action. Our own intelligence agencies have told us repeatedly that Iran is not building nuclear weapons. But that hasn't stopped any of the last few administrations [from] pursuing prohibitive sanctions," he continued. "The Trump administration is applying sanctions and tariffs on everyone: tariff war with China; tariffs on Canada and the EU; sanctions on EU companies that do business with Iran; sanctions on EU companies if you do business with Russia; more sanctions on Russia, on top of more sanctions on Russia, on top of more sanctions on Russia. It's pretty hard to find a country in the world the Trump administration is not tariffing or sanctioning right now," the analyst told Fault Lines hosts Lee Stranahan and Garland Nixon. In the case of the latest sanctions, the US has slapped them on despite the fact that "no evidence has been presented to the public," and that "the investigation hasn't finished yet." The UK police have dozens of theories but no main suspects, he pointed out. Concerning the use of chemical poisons against Yulia and Sergei Skripal, the latter of whom was once a Russian double-agent during his career in espionage, Kremlin spokesperson Dmitry Peskov told reporters in Moscow Thursday, "We find the link between the sanctions introduced by the US and the Skripal case to be unacceptable." Peskov dismissed the notion of Moscow using chemical weapons as "out of the question." Yulia and Sergei Skripal were found slumped on a park bench in Salisbury, England, in March and found to have been poisoned by the nerve agent Novichok. UK authorities quickly pinned the blame on Moscow. "Russia did not, and does not, have anything to do with the use of chemical weapons; it is out of the question. Moreover, we cannot even say what was used in the United Kingdom and how, because we do not have any information; we do not have a reply from the UK to our proposal of a joint investigation into this incident, which causes serious concern," the spokesperson said. 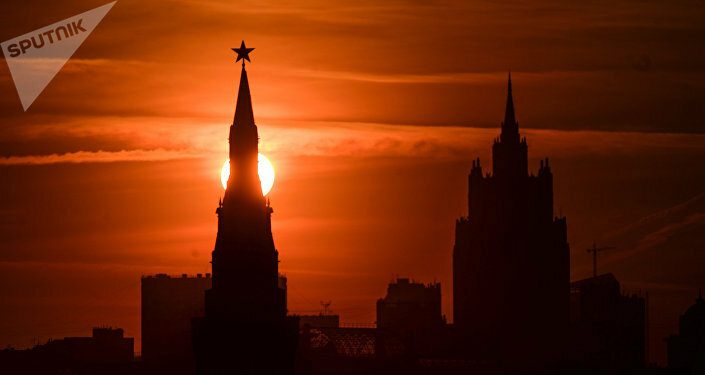 "Regarding the sanctions more generally, it suggests to me that there is no constructive or coherent policy toward Russia in Washington," said Sean Guillory, an expert at the Center for Russian, East European and Eurasian Studies at the University of Pittsburgh. "What little policy there is, it's being driven by American domestic politics," Guillory told Sputnik Thursday by email. "At some point someone is going to have to ask what the ultimate end game is." On Wednesday, the US State Department announced it would be sanctioning Russia for allegedly violating international laws against the use of chemical weapons, and would require UN inspections and other assurances that it intends not to use them in the future. Should Russia fail to comply with these demands, further sanctions could be imposed, including downgrading diplomatic relations.